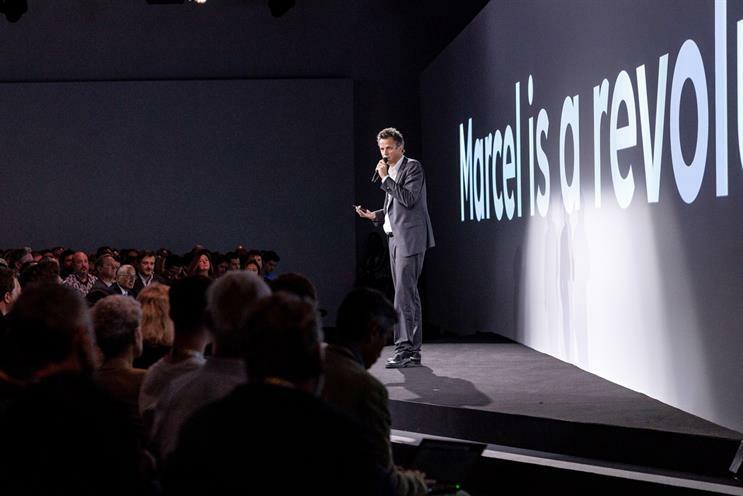 Just after the launch of Marcel, Publicis chief executive Arthur Sadoun was bombarded with questions from a packed room of clients, staff and journalists. Sadoun: Our only value, true value, lies in our ability to bring emotion to justify price. The creativity we have in us is the only thing that will protect us. So of course, AI won’t replace creative. But I do feel, and I think that, AI and technology can make creative better. Way better. Sadoun: I believe we have a huge responsibility as chief executives of agencies today. Will this only be used by the front office? How does this affect Publicis' back office? Arthur: Marcel will connect all 80,000 of us. At its heart, we are breaking the barrier between talent and opportunity regardless of role or department. It is critical to understand that Marcel will be connected to enterprise software like HR, though the full suite of back office connections are still to be determined. Dawn Winchester chief digital officer, North America at Publicis: The 'today' answer is that we have a lot of distributed systems, client data, people data and work. We are furiously on the back end connecting as much as possible. What we have shown today is what already exists. You don’t win a media pitch without a creative approach. Whatever we do we need to fast track creativity in every dimension. The growth will come from our ability to deliver creative that adds value.